Deep-well Multiwell Plates are made of specially formulated high quality polypropylene. These square-well plates work as plates or reservoir. Deep well plates with round wells provided 1.6mL nominal capacity per well. 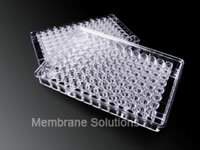 Sealing film well plates provided 2.2mLnormal capacity per well and are ideal for large volume applications such as receptor binding assays. The cap mats are engineered to tightly seal a deep well plate and minimize moisture exchange. 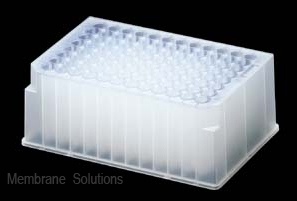 They are alphanumerically labeled to make sample identification easy. Adhesive sealing films are also available .